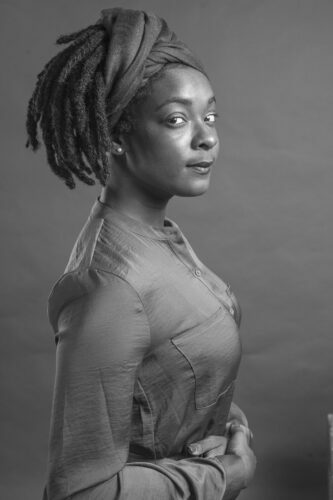 Brittany King (Bk) (she/her/hers) was born and raised here in South Florida and is currently a member of Voices: Poetry for the People (P4P), Founded by the late June Jordan in 1991 P4P teaches empowerment through the artistic expression of writing and reading poetry. She is also Co-Owner and Program Director for Donkeysaddle Projects; a radical art/media organization dedicated to amplifying stories of resistance and struggles for equity and liberation. Their work fuses artistry and activism into inspiring works that challenge us to stand in solidarity with those agitating for a more just and freer world.Through her community organizing work with the Miami chapter of Dream Defenders, she is building power within marginalized communities to help folks rediscover their cultural and political importance in today’s society. She wishes to shift the narrative about her community, by helping folks explore different ways to view and interact with each other and their world through the cultivation of music, poetry, art, storytelling, theatre and video production.